In the 400m she finished second in the 400m in 52.19 seconds, improving on her best outdoor time of 52.63 set on Wednesday night at the Dublin Graded meet. On the same evening she set a blistering new Irish record of 11.28 secs for the 100m. 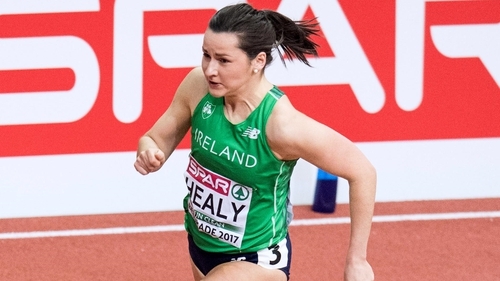 The Cork woman followed this up today with a personal best in the 200m of 23.17 secs, also finishing second , and moving her to third fastest overall in the Irish all-time list. While the 400m is her main event focus, she now has the European Athletics Championships standards for the 100m, 200m and 400m which takes place in Berlin in August. Healy said on Twitter: "A great day in Geneva rounds off what has been a super few days. A new 200m and 400m PB today with 23.17 and 52.19, and 2x European A standards. "Thanks to everyone for their support over the last week."